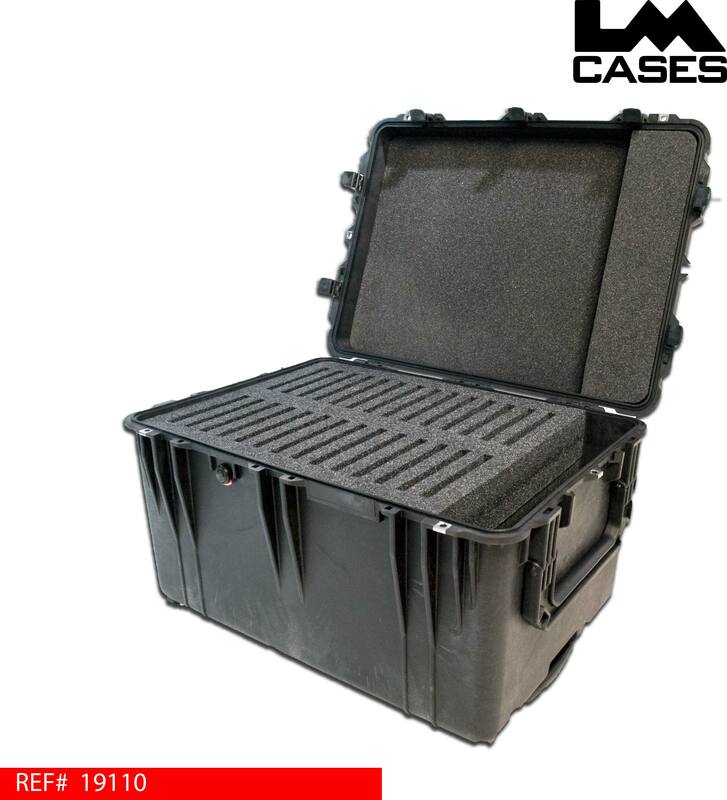 This case was designed to transport 28 Apple iPad's to and from trade shows. The design is based around a Pelican 1660 case and features a custom CNC cut insert to hold each iPad in a foamed compartment. 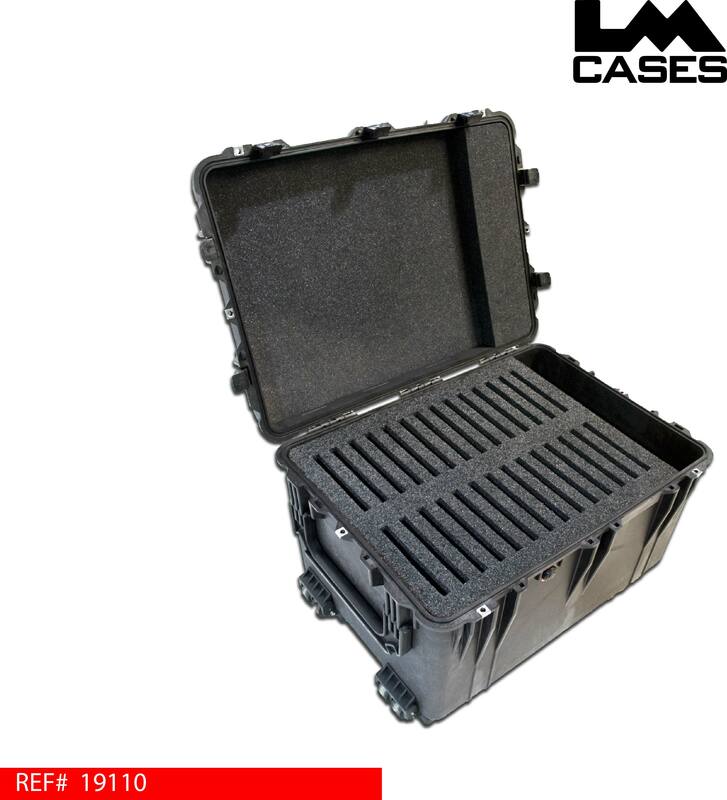 The case design also allows storage for the iPad's power supplies.